Brazilian Economy in the 21st Century, a faculty colloquium on Brazil, will be held at Washington and Lee University on Feb. 3-5. The first talk of the colloquium is in Northen Auditorium, Leyburn Library. The rest is in the Hillel House Multipurpose Room. 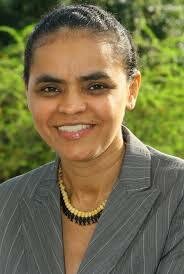 The keynote speaker is Marina Silva, Brazilian environmentalist and politician. Her talk is Feb. 4 at 4:15 p.m. in the Hillel House. The colloquium is free and open to the public with limited seating. The conference will examine the obstacles and challenges facing Brazil as the country seeks to advance its economy and the quality of life of its citizens. It is sponsored by the Center for Global Learning with the support of the Christian A. Johnson Endeavor Foundation. Silva was the minister of environment of Brazil from 2003 to 2008. She has been a member of Brazil’s National Assembly since 1994. As a native Amazonian and a senator, she built support for environmental protection of the reserves, as well as for social justice and sustainable development in the Amazon region. As Minister of Environment, Silva took drastic measures to protect the Amazon forest, clamping down on illegal activity, and reducing deforestation by almost 60 percent from 2004 to 2007. She also helped establish the Amazon Fund, preventing greenhouse gas emissions through rainforest conservation. The fund is financed by national and international contributions. In 2008, Silva resigned as minister of the environment, citing “the increasing resistance in central parts of government and the society.” She continues her struggle from her place in the National Assembly and still has great influence on environmental policy in Brazil. In 1996, Silva won the Goldman Environmental Prize for South and Central America, which honors grassroots environmental activists. In 2007, the United Nations Environment Program named her one of the Champions of the Earth, which recognizes outstanding environmental leaders at a policy level. In 2014, she was named one of its Women of the Year by the British newspaper Financial Times. For more information about the conference and a list of the speakers, see here or visit: https://www.wlu.edu/center-for-international-education/events/conference-on-the-brazilian-economy-in-the-21st-century.